"This style is from my country, Mali, West Africa." 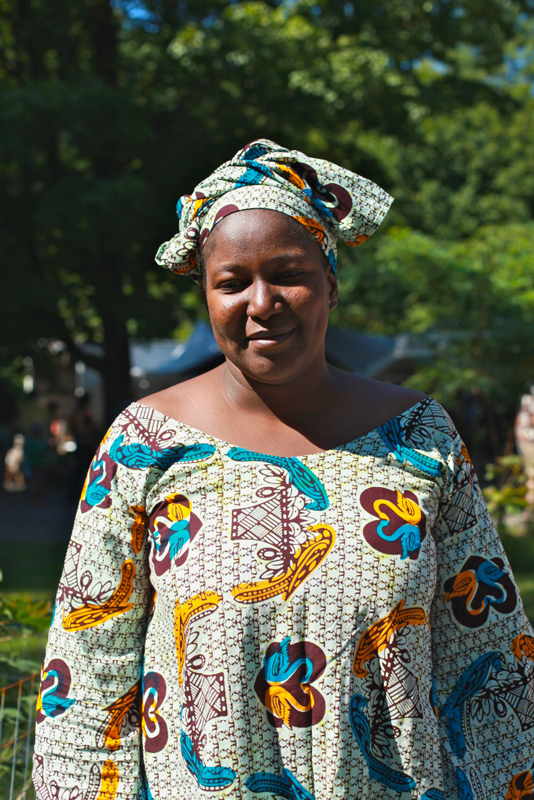 I saw Moussoumakan walking around during her break from selling at a delicious Malian food booth at the Brattleboro Farmer's Market. She kindly posed for me. The print on this cotton fabric is phenomenally beautiful. 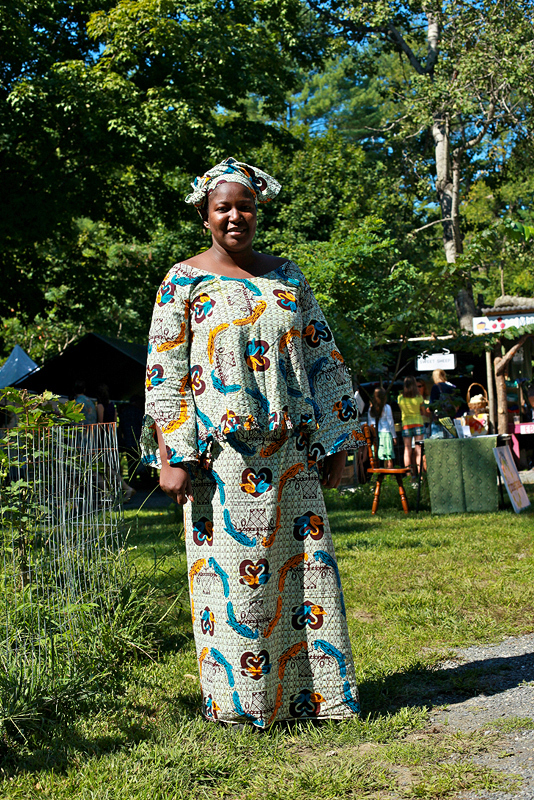 Here, in traditional Malian garb, the outfit looks wonderful and unexpected in the Vermont countryside. That really is a beautiful print with gorgeous colors .